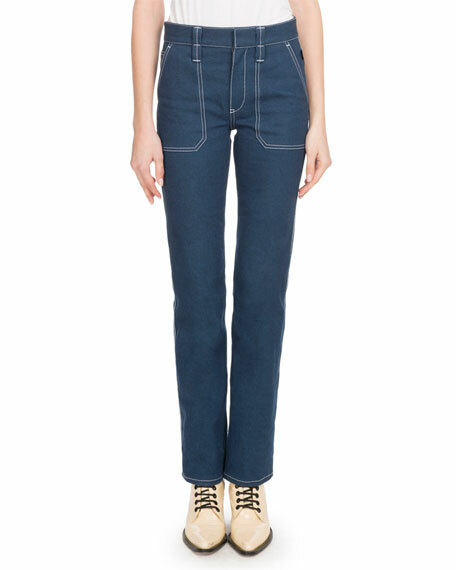 Chloe jeans in medium-indigo denim with contrast topstitching. Exclusively ours. 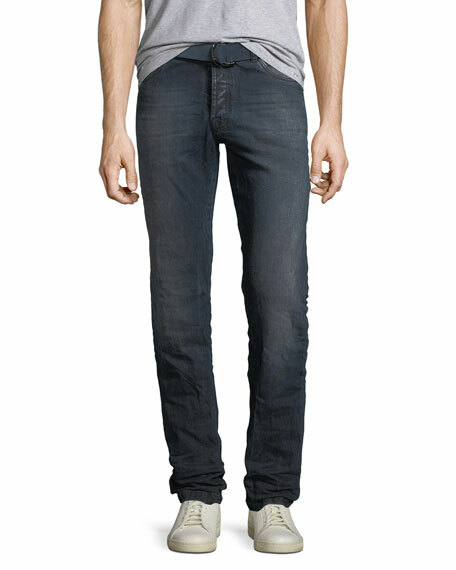 Kiton limited edition jeans in dark wash stretch-denim. Five-pocket style. Regular rise. Straight leg. Includes matching D-ring belt. Button/zip fly; belt loops. Cotton/spandex. Made in Italy. 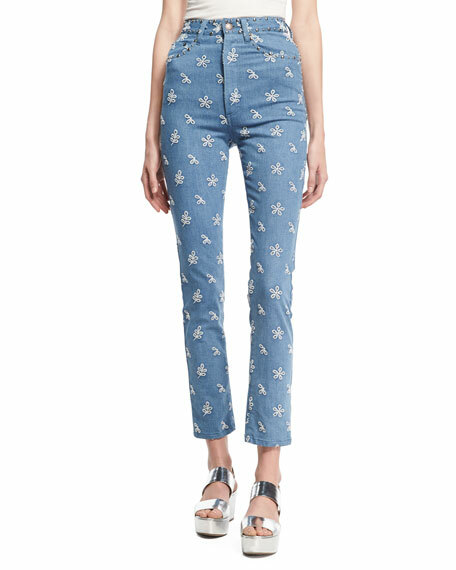 Marc Jacobs lace-embroidered jeans. Five-pocket style. High rise. Slim, straight legs. Cropped hems. Button/zip front; belt loops. Cotton/polyester/spandex. Made in USA of imported material. Model's measurements: Height 5'11"/180cm, bust 31"/79cm, waist 24"/61cm, hips 35"/89cm, dress size US 2. 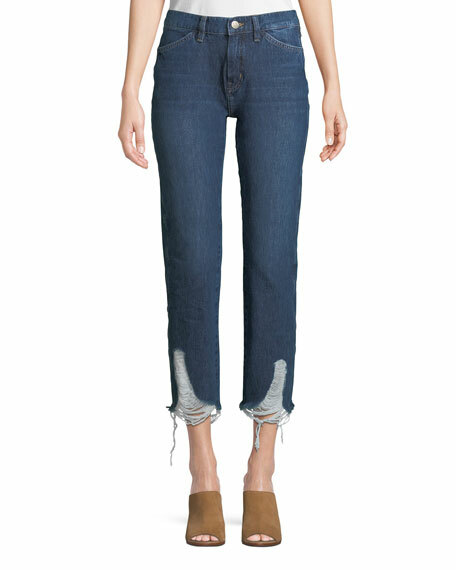 M.i.h "Cult" jeans in medium-wash stretch-denim with fading. Approx. measurements: 10" rise; 27" inseam; 16" leg opening. Mid-rise; belt loops. Button-zip fly. 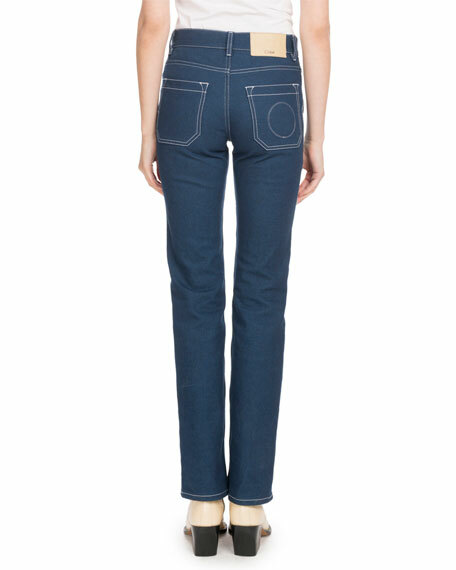 Four-pocket style. Slim fit through straight legs. Ankle-length. 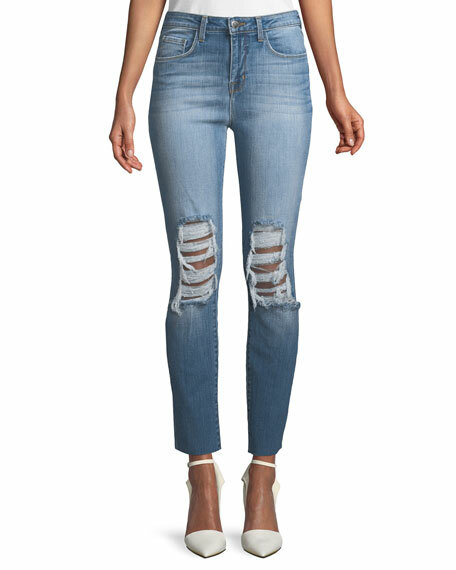 Distressed hem front. Cotton/spandex. Machine wash. Imported.